The co-generation (combined heat and power generation) plant of University of Utrecht - Uithof, is a striking orange (rust) coloured building. 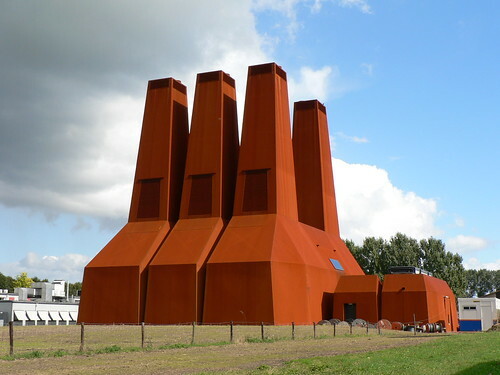 Designed by Liesbeth van der Pol, it houses six turbo-generators which run on natural gas. 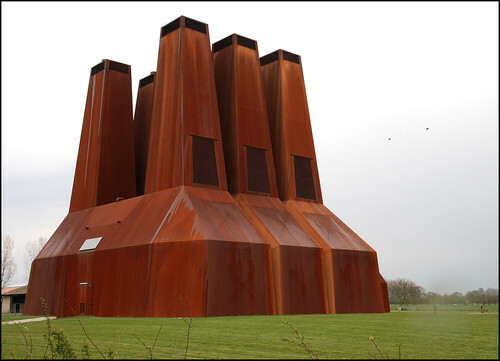 To make the structure sound proof, the facade of entire plant including the 15 metres high chimneys has been covered with recycled Corten steel plates and painted with the orange red colour rust proof paint making the cladding weather resistant and almost maintenance free. 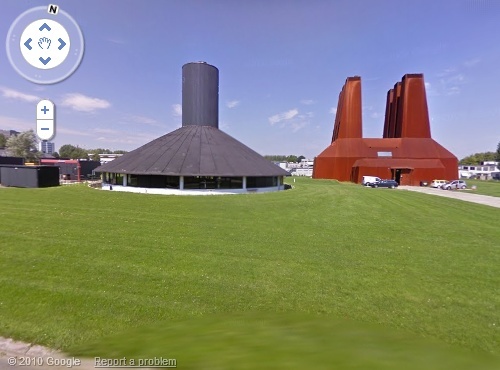 Initially the university had two inverted funnel shaped buildings which housed the gas operated central water heaters. In 1985 these were converted into co-generation plant. 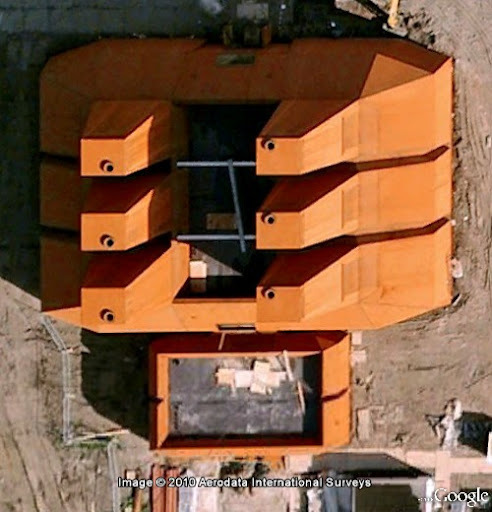 Later in 2005 one of the building was demolished and a new orange coloured combined heat and power plant was installed. The building won the National Steel Prize in the Industrial buildings category as well as European Steel Award 2007. I think I want this as my house, its awesome! I think they should combine art with power stations all the time! Combined heat and power is a pretty effective though, it's great to see it becoming more and more popular - I found some more bits here on chp http://www.shentongroup.co.uk, thanks!